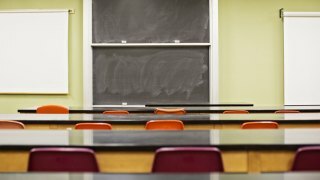 A stomach bug outbreak has continued to spread in elementary and middle schools as well as one high school in the San Jose Unified School District, district officials said Friday. The bug is described as a relatively mild stomach virus similar to norovirus, featuring symptoms of vomiting and diarrhea. Most students recover within a day or two, but district officials are encouraging parents to keep students out of school until they have had no symptoms for at least 48 hours. Since May 4, 421 cases have been reported at 17 schools in the district, including 53 new cases on Thursday. Almost 100 students at Hacienda Environmental Science Magnet School had caught the bug by Thursday, up from 80 on Monday. River Glen K-8 School and Reed and Almaden elementary schools saw their first cases on Thursday, with 13 cases suddenly cropping up at Almaden, according to district officials. The district has no plans to close schools in response to the outbreak, though in some cases schools are canceling or postponing student performances and art shows. Crews have been cleaning and sanitizing affected schools every day, including cafeterias, play structures, classrooms and computer labs and school nurses have been instructing students in every classroom on good hygiene practices. At least 28 cases have been reported by children and staff at a camp in Boulder Creek, according to Santa Cruz County officials.